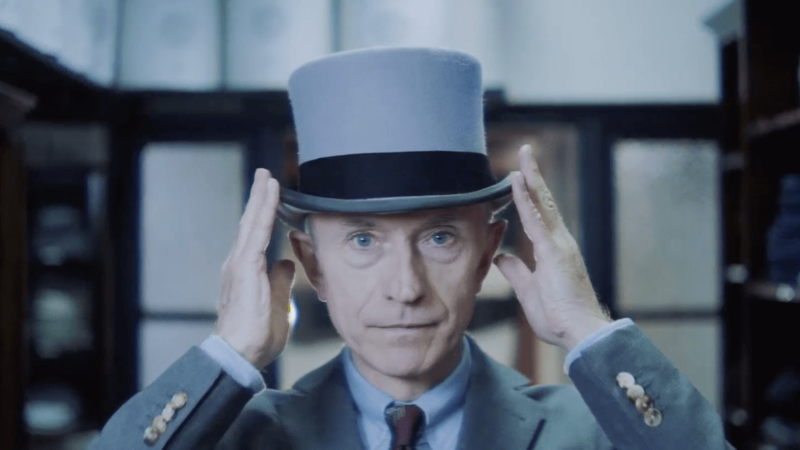 The tradition of gentlemen wearing morning dress to the derby stretches back over 200 years. 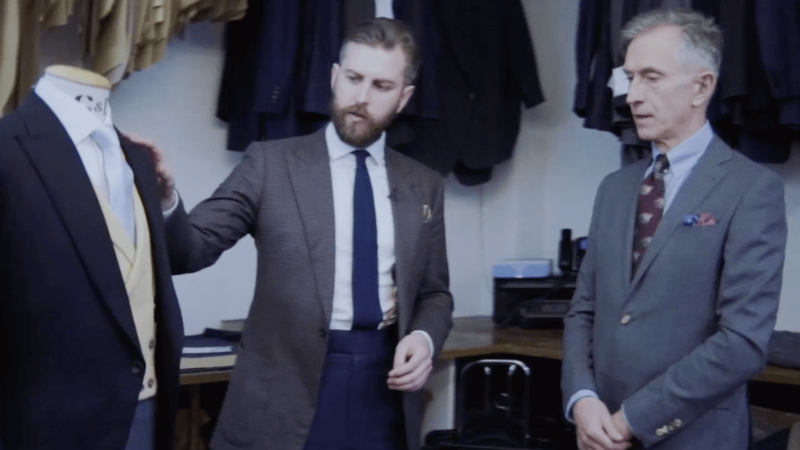 We recently made a short film exploring contemporary morning dress options in anticipation of the forthcoming Investec Derby Festival at Epsom, in collaboration with Investec and David Evans, of the Grey Fox Blog. In addition to the film, we’ve written this quick guide to the rules of modern morning dress and how to style a more personal and distinctive look. You can also find out more about our competition to win 2 tickets for the event itself. The most traditional of the morning dress ensembles is all grey – grey coat, waistcoat and trousers. The most common alternative to this is a black coat with striped trousers and either a dove grey, pale yellow or light blue waistcoat, which can be single or double breasted. Complimenting these garments would be a plain white shirt and either a plain silk or grenadine tie. 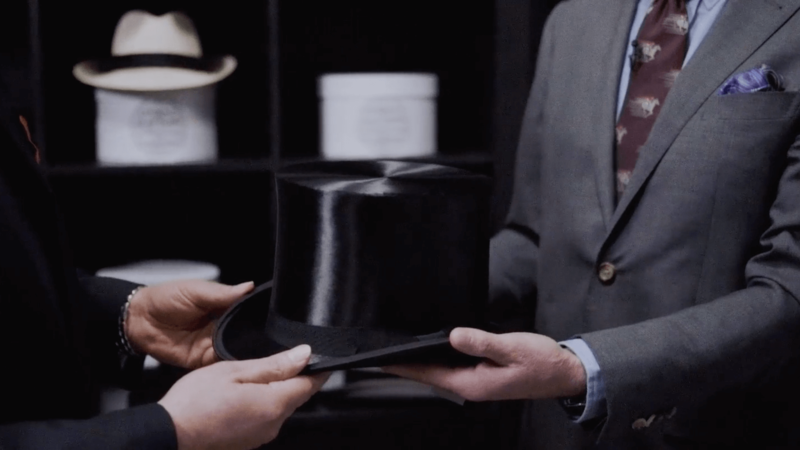 Last but not least, it is the top hat that really defines this dress code with London hatters, Lock & Co, offering the finest examples in the field. Their Town Shell in black silk is the ultimate choice for the derby, with grey and black felt the more popular option. So, there you have it – the basic rules of traditional morning dress. But, what are the options available if you want to push the boundaries to achieve a more individual look on Derby Day? There is some room for variation in the main garments. 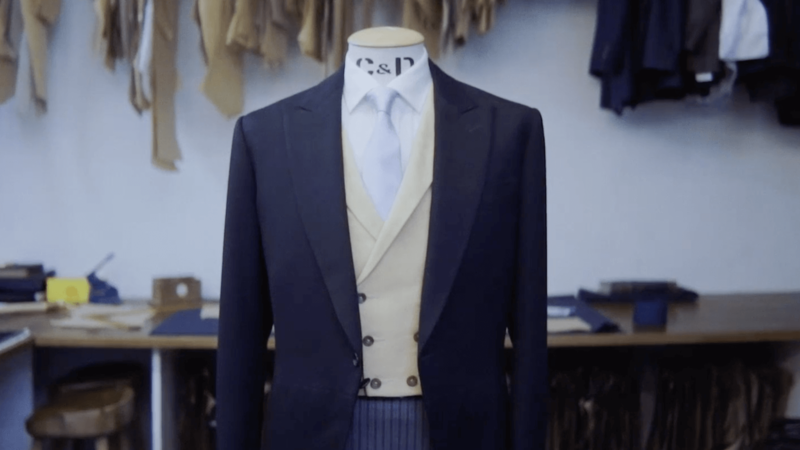 Depth and texture can be added via the waistcoat in a linen for example, or trousers in either a hounds tooth or a subtle check. 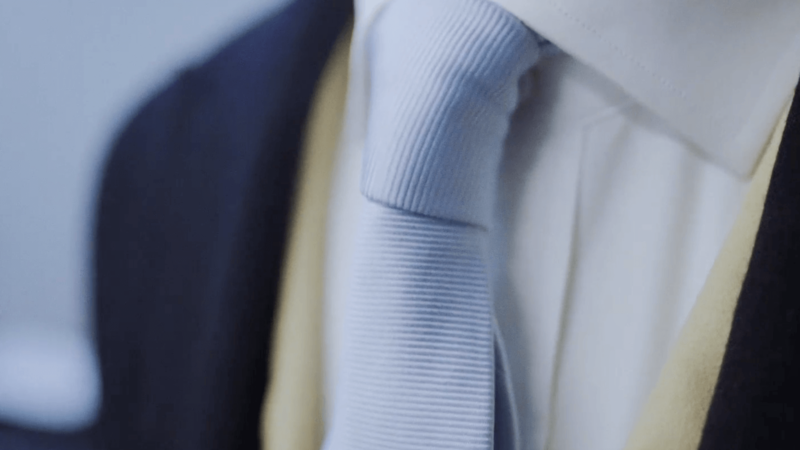 With shirts there is little in the way of variation available but chancing a plain soft pink or blue shirt, with contrast white collar, could work. However, it’s the accessories you choose for the derby that are the safest bet for demonstrating individual style. Choose a tie with a low-key traditional pattern – discreet spots or a subtle paisley – then ramp it up with a statement pocket square to introduce colour and flair. With such a small area on show, a pocket square gives you the opportunity to play with strong colours, patterns and designs. Whatever your personal style preference, a day at the races is an event not to be missed. We have two tickets up for grabs for this year’s event, courtesy of Investec. Simply email newsletter@cadandthedandy.co.uk stating your full name, email address and contact telephone number for your chance to win a day at the derby. Names will be drawn from a hat and winners will be notified on Tuesday 30th May.